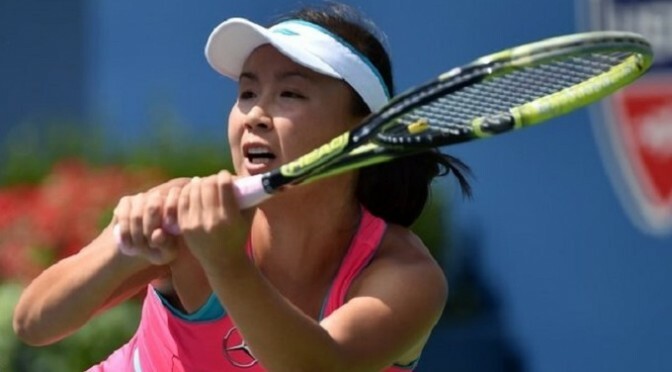 China’s Peng Shuai reached her first Grand Slam semi-final with a dominant 6-2 6-1 victory over Swiss teenager Belinda Bencic. The 28-year-old world number 39 played a superb opening set, breaking her 17-year-old opponent twice. She broke Bencic, ranked 59 in the world, again in the second game of the second set as she eased to victory. Peng will face either 10th seed Caroline Wozniacki or 13th seed Sara Errani in the last four. Bencic, who beat sixth seed Angelique Kerber and ninth seed Jelena Jankovic on her way to the last eight, had two break points in the third game of the match. But Peng saved those, broke for the first time to go 3-1 up and continued to put pressure on her opponent with better serving and movement. Bencic was broken twice in succession at the start of the second set and was also given a violation for coaching. As the Swiss player’s composure left her, Peng continued to play solidly and another error by Bencic allowed her to wrap up the match in 64 minutes.